Are your worried about your luggage weight limit or available space for your business trip? And you cannot manage to have your up sized projector along with you. With the mini portable projector, you can achieve the limit of your luggage as well as can manage to give the big presentation. We had recently covered up Portable iPhone 7 Projector Case Review. You might also like to read How to connect your iPhone 7 with Big Screen or wired HDMI Projector? 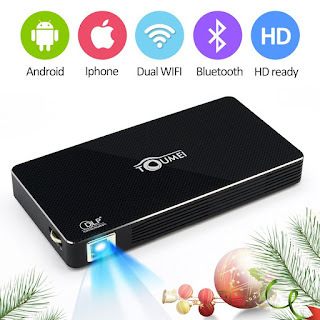 Here, I have rounded the top 5 best Wireless Portable Mini Projectors that you can connect to your iPhone 7 and can mirror anything ranging from videos to movies, games to pictures etc. So, here we go with the first one on the list that you can try for the ultimate projection is CODIS G1 Pico Projector. As the name suggests, the projector is compact in size, offering full-fledged portability as your smartphone. 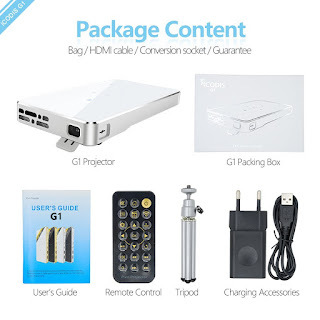 This projector is fully compatible with iPhone 7 that allows you to connect endlessly to Miracast, Airplay, Wi-Fi, and USB MicroSD. Not only this, it also offers built in battery along with the specification of DLP technology, that provides the users with the ultimate brightness, projection display up to 12 inches plus a native resolution of 854×480. The Crenova XPE700 Pico Video Projector for your iPhone 7 that you can have wirelessly and weightlessly. Just for its purpose, the projector provides a big screen experience for your comfort with the upgraded LED sourced technology to provide the users with the clear images and keystone functions. Specifications of this tool come with brightness at 65 Lumens, contrast of 1000:1 with the full support of 1080p HD video. The highlight of this mini projector is that it is easy to set up and can be used anywhere at any time, all you need is to have a surface. Experience the next generation entertainment by sitting at your home with TM-C800i Home Pico Projector. With this portable, mini projector, you can watch movies and play games with stunning colors in any environment. The projector allows the user to enjoy the high definition videos of 1080p and enjoy HD image projection up to 120 inches by sitting at their home. Not only this, the projector also comes with rechargeable battery and LED lamp work that makes it one of the best options to consider. When it comes for projection media, ELEGIANT is the brand that you cannot forget. With this portable mini projector, you can get the projection of media with increased brighter colors and contrasts. 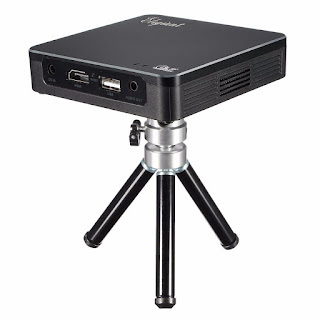 It is amazingly portable projector that is compatible with almost all the devices ranging from smartphones to tablets. Moreover, the app offers simple setup suite with intuitive controls and flexible positioning. The enhanced digital video and audio experience, just a cable far. 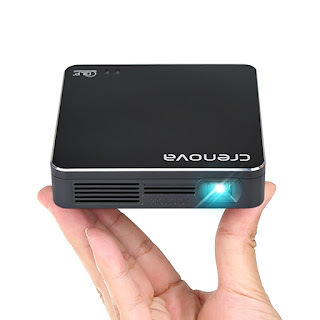 If you are looking for something that is cheap and provide you with quality, then this mini projector is made just right for you. With this projector, you can watch your favorite film on amazingly big screen. 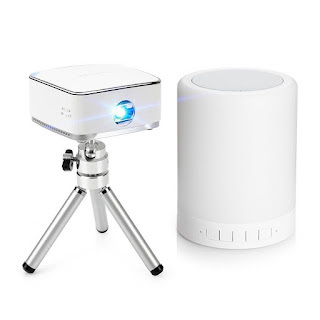 Either you are looking to connect your iPhone 7 to this projector, or any other device including laptops, computers, PlayStation etc. it can work best on each single device. The projector functions the best by providing enhanced brightness, even in darkness, arty appearance without any compression. It is ideal for home theater movies and video games use with perfect sound and picture quality. All of these mini portable projectors have got their rankings because of their excellent features. If you are looking for smart projector to connect your iPhone 7, then these options are worth considering. Next story How to Restart / Reboot iPhone 7 & Put iPhone 7 into DFU Mode?